The volume of investment in Environment, Social, Governance (ESG) has been growing around the world led by European countries. In Korea, a few public pensions and institutional investors are making ESG investment, but the volume remains meager and systematic management process has yet to be established. Related regulations need to be aligned in a way that improves the efficiency of ESG investment, along with greater market trust in its profitability. These need to be long-term efforts, and as such, the role of public pensions and funds would be pivotal. 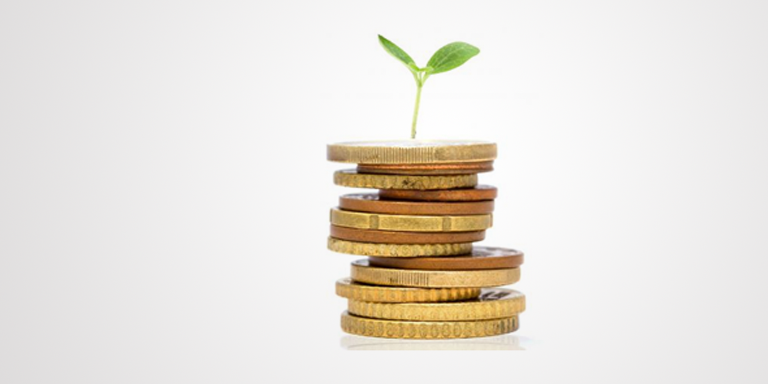 Investment with considerations for ESG is growing around the world as awareness of sustainable corporate management is growing, which indicates management needed for a company to be a going concern. This is based on an understanding that a company that pursues short-term profits without caring for society and the environment cannot survive for long. The concept of ESG investment hatched from the UN PRI (Principles of Responsible Investment) set up in 2006, which requires that an investment decision-making takes into account non-financial elements such as environment, social responsibility, and corporate governance. According to recent data of GSIA (Global Sustainable Investment Alliance), global ESG investment amounted to a USD22.9 trillion as of end-2016, a whopping 25.2% growth in two years. Among them, institutional investors represented 74.3% (in 2016), although the share of retail investors has been rising (13.1% in 2014, 25.7% in 2016). By country, Europe represented the largest amount, and it is rapidly growing in Australia, New Zealand, and Japan. Particularly, the amount of ESG investment in Japan surged from USD7 billion in 2014 to USD474 billion in 2016 as GPIF (Government Pension Investment Fund) opted to make ESG investment. Institutional investors in major countries―e.g. US CalPERS (California Public Employee's Retirement System), France's ERAFP―have set up internal principles for ESG investment, driving its growth. Typically, ESG investment strategies can be classified into seven types (See Table 1), and global institutional investors have widely employed negative screening, ESG integration, and corporate engagement. Meanwhile, many ESG indicators have been developed by global firms including MSCI, S&P, Dow Jones, and the number of ETFs that follow these indicators is increasing. In 2016, six large institutional investors (Denmark's APT Group, Canada Pension Plan Investment Board (CPPIB), Singapore's GIC, New Zealand Superannuation Fund (NZSF), Ontario Teachers' Pension Plan (OTTP), the Netherland's PGGM) decided to follow S&P Long-term Value Creation Global Index, an index based on sustainability and financial soundness. Meanwhile, in Korea, some institutional investors manage part of assets according to the principle of 'responsible investment,' but the volume is substantially smaller than in advanced countries, and ESG-related indicators and systematic investment guidelines have yet to be established. As of 2017, domestic institutional investors made ESG investment worth 7.2 trillion won, or 0.9% of all assets under management. Among public offering funds, ESG investment funds amounted to 397 billion won or 0.2% of all public offering funds (Table 3). National Pension Service joined UN PRI in 2009 and put together a benchmark indicator (NPS-FnGuide) and ESG evaluation system in 2015. However, actual responsible investment has been quite limited. Specifically, responsible investment has been made only for the trusted management of domestic stock assets, the outcome of ESG evaluation has been reflected only in the management of virtual responsible investment fund, and there is no department dedicated to responsible investment. ESG indicators have been developed including KRX ESG leaders 150 and Wisefn's index on wise esg outstanding firms, but their application has been quite limited. Going forward, related regulations need to be aligned to foster growth of ESG investment, and diverse indicators need to be developed. The World Federation of Exchanges (WFE) published WFE ESG Recommendation Guidance and Metrics in 2015, and in countries like the EU, the UK, and the US, disclosing ESG-related information to an extent has become mandatory, thereby strengthening the efficiency of ESG investment. Following suit, in Korea, it is important to set up objective evaluation criteria for companies' ESG investment, expand the scope of related information disclosure and make it mandatory. And disclosed information needs to be built into database systematically for greater use. Public pensions and funds (e.g. NPS) need to lead the effort of developing ESG indicators and evaluation system, with the participation of the supervisory authority, asset management companies, to create a more inductive environment. If public pensions jointly develop benchmark ESG indicators and actively use them for fund management, and disclose investment methods and specific portfolio composition to the public, it would attract more attention from investors and companies. Asset management companies, on their part, need to develop various products with ESG funds as underlying assets. Further, given that ESG investment emphasizes sustainability and as such requires a long-term approach, public pensions and funds need to increase ESG investment with a long-term strategy to earn market trust. Due to the inclusion of non-financial factors, ESG investment can help manage downward risks, and prior to increasing ESG investment, institutional investors need to ensure an independent and transparent decision-making process and establish clear investment guidelines and principles to strengthen the viability of ESG investment. The idea that ESG is more profitable than other investment is gaining momentum, which indeed has contributed to growth in global ESG investment. Kruger (2015), Ferrell, Liang, and Renneboog (2016) argued that ESG could have a positive impact on shareholder value; since 2008, MSCI ESG index for emerging markets has constantly outstripped benchmark index. Lastly, the supervisory authority and institutional investors' efforts to create a conducive environment can stimulate voluntary corporate efforts to expand ESG investment, and help form a virtuous cycle in ESG ecosystem. Such efforts can also help attract investment from places with active ESG investment as Europe. Jieun Lee has been a research fellow at the Korea Institute of Finance (KIF) since October 1997. He served as the head of the Financial Markets Division in KIF, and as the standing senior counselor of the Financial Services Commission and Financial Supervisory Service during the period of 2007-2009.His research broadly addresses the role of financial institutions and regulations to develop the financial markets, especially the securities industry, and capital markets. He earned his economics B.A. from Seoul National University and Ph.D. from University of California, Riverside. He has written a dozen of books and research papers and has led quite a few research projects.